Urban Chocolatier deliver a chocolate tasting experience like no other. A delicious monthly chocolate subscription of a box of hand crafted, high quality chocolates delivered to your door. The joy of the Urban Chocolatier experience begins when your box of deliciousness is delivered directly to your front door. 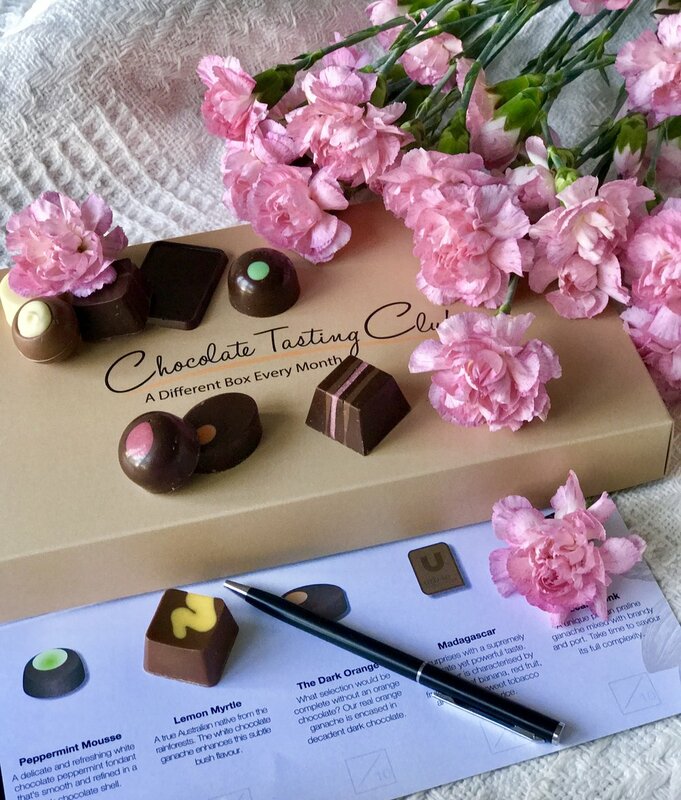 The suspense is wonderful as you open your Urban Chocolatier 'Chocolate Tasting Club' box to reveal a surprise selection of unique chocolate flavours from classics like caramel and coffee to modern twists such as Lemon Myrtle or Pecan Plonk. I was spoilt with the delivery of an Urban Chocolatier Introductory Box. The sight of the individually crafted chocolates was tempting but the smell as I opened the box was deliciously wonderful. My family and I enjoyed sharing the Urban Chocolatier experience, having fun tasting and scoring each chocolate that we savoured. Our favourites included Cappuccino Truffle, Peppermint Mousse and Madagascar which we awarded a top score of 10. You too can experience a Chocolate Tasting Club Introductory Box from the Urban Chocolatier right here. Let me know which chocolate you scored a 10.